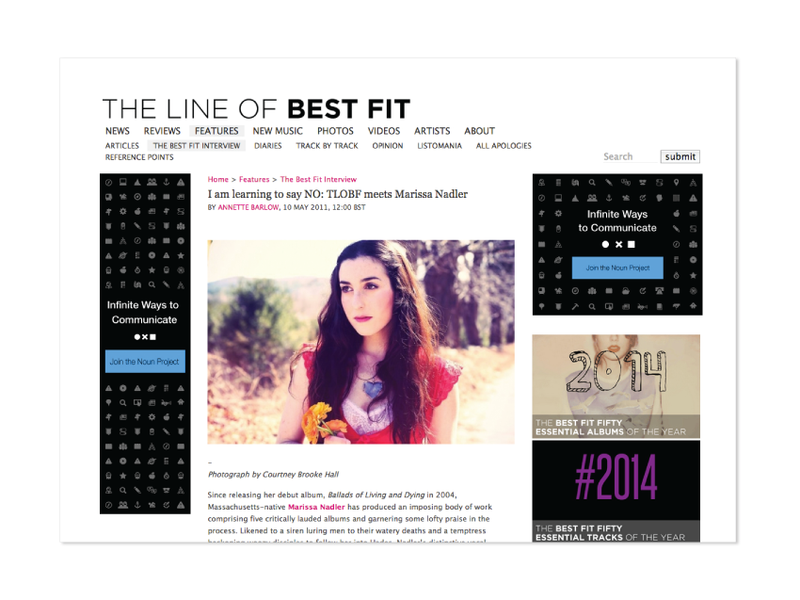 Published on The Line of Best Fit, 10 May 2011. 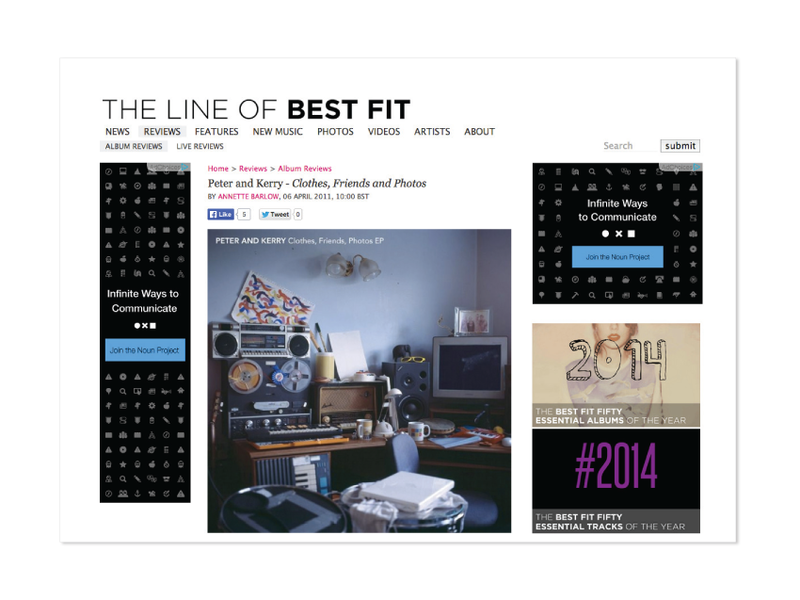 Published on The Line of Best Fit, 25 April 2011. 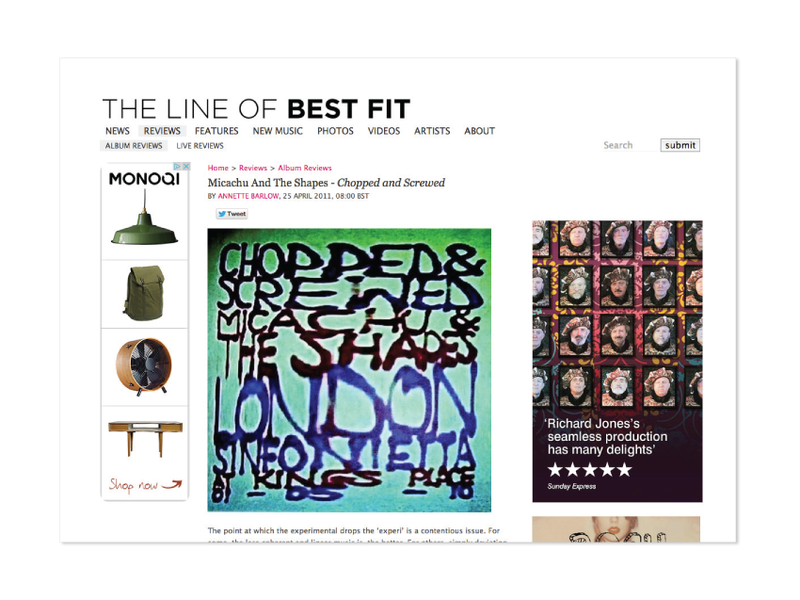 Published on The Line of Best Fit, 6 April 2011. 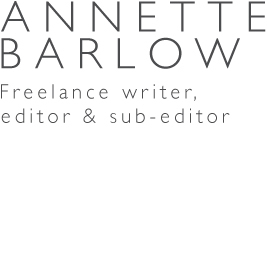 Published in DIVA magazine, November 2010. 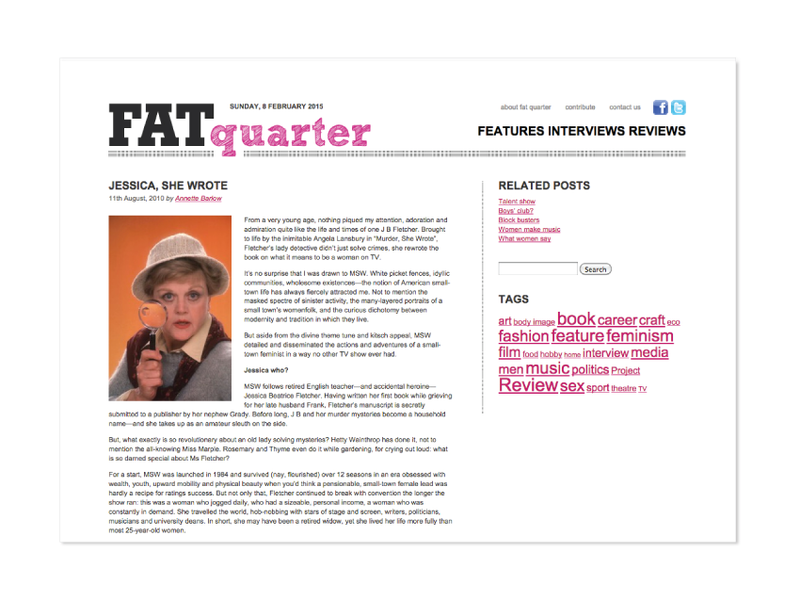 Published on Fat Quarter, 11 August 2010.